Before 1910 the only treatment available for syphilis was about as terrible as the disease itself: the liquid metal mercury, which could cause death or organ damage. So when the first clinically tested syphilis agent debuted 100 years ago, it quickly became the most prescribed drug in the world. “People who…have shown no evidences whatever of disease...have been begging for a dose of ‘606,’ just to make ‘perfectly sure,’ ” one U.S. physician reported. 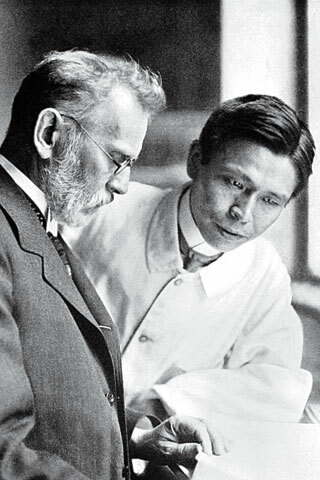 Behind 606 was the German physician Paul Ehrlich, who had shared a Nobel Prize for his work in immunology two years before. Yet little did this kindly scientist know that he would soon be embroiled in controversy. Ehrlich’s assistant, Japanese bacteriologist Sahachiro Hata, had found a way to infect rabbits with the syphilis-causing bacterium Treponema pallidum, and, as possible cures, the duo tested arsenical compounds that Ehrlich and chemist Alfred Bertheim had developed. When Hata injected the 606th substance, arsphenamine, intravenously into live animals, it killed the syphilis bacterium—but not the rabbits. By September 1910, 606 was on the market under the brand name Salvarsan. The drug put into action two ideas that Ehrlich had conceived earlier: chemotherapy, a term he coined for “curing organisms infected by certain parasites in such a way that the parasites are exterminated within the living organism…by the use of substances which have had their origin in the chemist’s retort”; and “the magic bullet,” meaning drugs that home in on disease-causing microorganisms. This magic bullet was difficult to administer, however, and the side effects—rashes, liver damage, and risks of life and limb, literally—prompted some physicians to denounce 606. In what historians have dubbed the Salvarsan Wars, Ehrlich and Hata were vilified for profiting from what their detractors called a dangerous drug, even claiming that Frankfurt Hospital had forced prostitutes to undergo Salvarsan treatments. Ehrlich was accused of criminal negligence, though he was eventually exonerated. In 1912, Ehrlich replaced Salvarsan with a less toxic, easier-to-administer derivative—Neosalvarsan—which became the standard treatment for syphilis until the late 1940s, when penicillin was substituted as a safer alternative. Salvarsan’s legacy would last even longer, opening the field of synthetic drugs and inspiring other scientists to search for magic bullets. Ehrlich wouldn’t live to see the extent of his influence. Already in fragile health from an earlier bout with tuberculosis, exhausted from his Salvarsan exploits and distraught because of the First World War, he died in 1915.